ALL-NEW ARC! ALL-NEW JUMPING-ON POINT! 'THE COALITION'-PART ONE! A once-loyal agent has defected from the ranks of MI-6's most elite espionage unit? and Ninjak has been dispatched across the globe to prevent his secrets from plunging the world into chaos. But in the shadows of Mexico City, Colin King is about to discover something far more deadly? 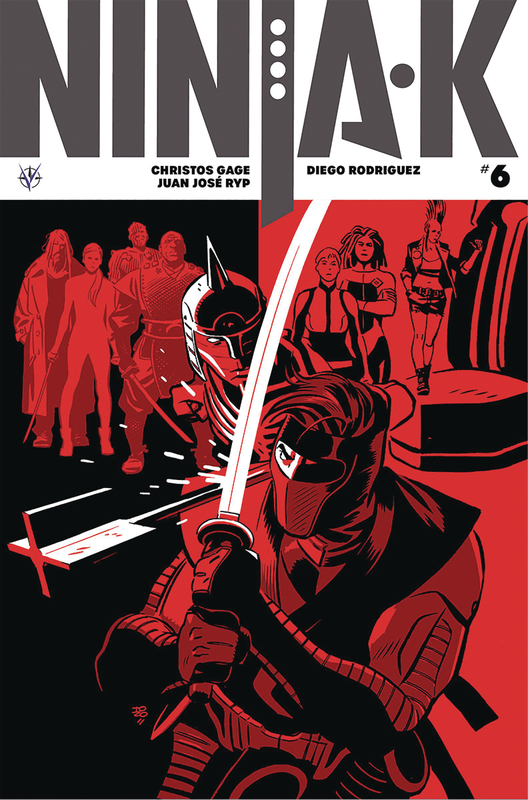 The Ninja Programme's own former sensei, the Jonin, has assembled a conspiratorial circle of seemingly immortal beings - the Dying One, Kostiy the Deathless, Linton March, and The United's Ultimo - for a purpose so sinister that even Ninjak can't risk engaging them alone. Enter Livewire, Punk Mambo, Dr. Mirage, and GIN-GR, Ninjak's brand-new black ops team with a very specific set of skills?and a license to kill the unkillable!